The minimum wage was raised to $5.15, which was an improvement over the $1.40 minimum wage of 1966, when I was hired by the Town Talk. March 13, 1996 – A gunman killed a teacher and 16 five and six-year-old children in Dunblane Scotland, which was eerily similar to the Sandy Hook tragedy in Newtown, Connecticut 16 years later in 2012. Bomb explodes during 1996 Olympics in Atlanta, Georgia. Ebay starts their auction website 17 years ago. Gas cost $1.22 a gallon, which is about $2 a gallon cheaper than the $3.25 gasoline of today. A driver could save about $40 a fill-up in 1996 compared to 2013 prices, for a 20 gallon purchase. Bread cost $1.15 a loaf. 1997 – Was chosen to be song leader at College Drive Baptist Church in Pineville, Louisiana and would remain in that position, till we moved to Tennessee in 2007. I want to thank Rev. Charles Harrell and Paul Bonnette for letting me lead the singing during those years. I also want to thank Mrs. Frances Faulk for being the pianist most of those years. She had played for Governor Jimmie Davis for many years. One of the major stories of 1997 was when Princess Diana was killed in a car accident 16 years ago. Mother Theresa also died in 1997 at the age of 87. Microsoft became the most valuable company in the world and was valued at $261 billion. Woolworth closes their last discount stores in 1997. A gallon of gasoline remained steady holding at the $1.22 price of 1996. A pound of hamburger meat cost $1.38. Average rent climbed to $576 and a movie ticket cost $4.59. 1998 – Had a very short marriage in 1998 to a con artist, who left town with my credit cards and checkbook and our marriage license, plus ran my phone bill up to over $1,000 making calls to her boyfriend in Florida. The less said about her the better. Found out she had disappeared when I returned from family reunion in Gatlinburg, Tennessee and found the huge telephone bill waiting for me in the mailbox. Think this was the summer that was so hot, that temperatures over 100 were common that summer. After not using the air conditioner since May of 1992, I was forced to plug-in the air conditioner, because of the extreme heat. A gallon of gasoline dropped to $1.15 a drop of seven cents from the 1997 price. Average rent skyrocketed to $619 a month. Grandson Matthew ready to travel to All Star game while playing for Ward 10 in Tioga a few years ago. 1999 – My first grandson Matthew Geisel was born on February 19, 1999 at Rapides Hospital in Alexandria, Louisiana to my daughter Debbie and son-in-law George. Matthew will be 14 next month and has done well in sports at the middle school in Groves, Texas and has played baseball in the Little League and Babe Ruth League. This will be his 11th season of youth baseball and he hopes to make the Port Neches – Groves high school team in 2014. He has played football, basketball and track while in middle school. He played quarterback for the Groves Middle School 8th grade team. Matthew had runs of 18 and 50 yards in the game and totaled over 100 yards in the game. He played linebacker on defense and scooped up a fumble, while returning it to the end zone for a touchdown. Groves won the game 8-0 due to his fumble TD return. Met my future wife Rhonda on the internet in 1999 and we would be married in 2000. Lance Armstrong won his first Tour de France. We will never know if he could have won without steroids, because steroids were an integral part of his training regimen. Two boys 17 and 18 kill 15 in the Columbine school shooting in 1999. Mattel’s Barbie Doll turns 40. MySpace, Napster and Bluetooth came into existence in 1999 and all are 14 years old now. Average rent continues to skyrocket to $645 after topping out at $619 in 1998. The cost of a gallon rises seven cents as it returns to the $1.22 price of 1996 and 1997. 2000 – Married Rhonda on February 18, 2000 in College Drive Baptist Church by Rev. W.E.Efferson. We will have been married for 13 years on our anniversary in February. We would live on Burns Street in Pineville till we moved to Gibbons Street the following year. Lifespan in United States in 2000 is 77.5 years. President Bush would win the 2000 Presidential election, due to few hanging chads here and there. Democratic candidate Sen. Albert Gore polled 543,000 more popular votes, but lost the election by five electoral votes. 2000 was the year that dot-com bubble burst, as tech speculators lost thousands of dollars on companies that went bust. Y2K starts with no serious problems. Barrel of crude oil tops $30 a barrel, while a gallon of gas rises to $1.26 a four cent increase, over the 1999 price. Average rent prices escalated to $675 a year. Average rent had been $619 in 1998 and $645 in 1999, so prices had increased $56 a month in two years time. Ground coffee – $3.44 a pound. 1991 – Visited my sister Jane and her family during the summer of 1991 in Pueblo, Colorado. My son Kenny and brother Tom also were on the trip. My brother Daniel drove us up Pike’s Peak and will never forget how cold it was at the top. The brakes overheated on the way down, so had to let them cool off a few minutes. Driving through Raton Pass with an altitude of 7,834 in a four-cylinder Toyota was not easy as we gained altitude. Enjoyed the time with my sister and her family while in Colorado. Jane is an executive with the Pueblo Library and we had the chance to visit the library. 911 emergency number was being tested during the year and the airbag was invented. Gasoline was being sold for $1.12 a gallon. 1992 – This was a sad year as my 22 year marriage to Elaine ended, with her moving back to Texarkana, Arkansas. Had to file bankruptcy after she left, so I could pay bills. It would be the first of six years with no air conditioning. We had one, just never used it, since had to choose between air conditioning and eating and eating won that battle. Ate cheese sandwiches most of the time and can’t remember going out to eat during this time. With the Town Talk garnishing my wages to pay the bankruptcy and paying child support there was little money left for anything, but the bare necessities of life. The divorce was finalized and it was sad to spend Christmas without the family for the first time since 1972, the year when Steve was born. Bill Clinton was elected president in 1992 and Miley Cyrus was born and will be 21 in November of 2013. The cost of gasoline dropped from $1.12 in 1991 to $1.05 in 1992. 1993 – Flew to Knoxville, Tennessee this year with the financial assistance of my brother, to be present when Tusculum College in Greeneville, Tennessee honored my dad by naming a chemistry laboratory after him. Enjoyed hearing his students and others tell of my dad’s contributions to the Chemistry department at Tusculum. Then they served a dinner in his honor, which capped off a great evening. My daughter Debbie missed by one word of making the National Spelling Bee in 1993. I was there that night in my alma mater Pineville High School auditorium, as she battled round after round before misspelling the final word. I don’t handle change well and had a major change at Town Talk, when I was moved from composing room to camera shop, after having worked in composing room since 1966. I have to admit I was lost as I had to learn how to operate a full-page camera, tone photos and strip in negatives using the four-color process. The negatives had to have perfectly matched register marks, or the photos would be out of focus, which could be seen easily by readers if not aligned properly. The price of gasoline rose to $1.16 a gallon, an increase of 11 cents a gallon compared with 1992 prices. Movie tickets had risen to $4.14 and a loaf of bread cost $1.57. Harley Davidson motorcycles observed their 90th anniversary in 1993, which means they will observe their 110th anniversary in 2013. Beanie babies were first sold in 1993 and are now collector’s items twenty years later. 1994 – Remember watching O.J. Simpson and the low-speed chase by police as they followed him to his home. He was eventually arrested and charged with the murders of Nicole Simpson and Ron Goldman. This is the year that Tonya Harding had someone hit her ice skating opponent Nancy Kerrigan in the knee, hoping to gain an advantage over her injured opponent. Can remember Bud Selig saying the dreaded words that there would be no 1994 World Series, due to a lengthy baseball strike. I had the feeling Selig almost enjoyed cancelling the World Series, as he seemed to be letting the players know that he was in charge. The cost of gasoline dropped to $1.09 a drop of seven cents from the 1993 price. The first satellite digital television service was launched in 1994 and Netscape was the leading browser that year. 1995 – College Drive Baptist Church lost their pastor Mark Norwood who had accepted another job with a church in North Louisiana, when Warren Steadman became the pastor that fall. 1995 was one of my favorite years since the Atlanta Braves, who I had been following since 1978 defeated the Cleveland Indians in the 1995 World Series. It was the first Braves win in a World Series, since the 1957 Milwaukee Braves defeated the New York Yankees in the 1957 World Series. The win over the Indians was only the second World Series championship for the Braves in the last 55 years. Gasoline was still selling at $1.09 the same price as the 1994 price. Postage stamps were now selling for 32 cents. I remember back in 1963, when I was selling stamps for a nickel each and a book of 20 stamps cost only a dollar. 32 years later the same 20 stamp book sold for $6.40. Fast forward to 2013 and stamps are approaching 50 cents a stamp and a book would cost $10 for a 20 stamp book. The biggest tragedy of 1995 was when a truck bomb exploded, while killing 168 people at the Oklahoma City Federal Building. Timothy McVeigh would later be executed for his part in the crime. 750 Chicagoans would die in a heat wave, when temperatures reached 104 degrees for five straight days. Windows 95 is released by Microsoft and DVD’s are introduced. O.J. Simpson is found innocent of the Nicole Simpson and Ron Goldman murders and vows to catch the REAL killer. He searched golf courses all over the United States looking for the real killer, but was unsuccessful in locating the killer. He could have saved all that time and energy by looking at the mirror and finding the REAL killer there. Grocery prices skyrocketed in 1995 as bread was selling for $1.15 a loaf. The days of buying five loaves for a $1 at the bread thrift store were now officially over. Ground coffee could be purchased for $4.07 a pound. Average income was $35,900 a month except for Town Talk employees. I retired from Town Talk nine years later and never earned more than $28,000 a year, while working for the Town Talk. This five-year period is one of the most eventful of my life, in that I went to Vietnam and started working at Town Talk in 1966, met my first wife in 1969 and married her in 1970. 1966 – The previous year 1965 had seen a lot of activity at Schofield Barracks and there were rumors floating around, that we may be sent to Vietnam. On January 17,1966 the 25th Infantry Division boarded the USNS General Walker a troop ship on the way to Vietnam. The trip took 14 days, as we traveled 500 miles a day till we reached Vietnam. Will never forget how hot it was arriving in Vietnam and drank several Coca-Cola’s back to back. We were flown to the 25th Infantry Base in Cu Chi, Vietnam, which I never left except for one night of guarding a Catholic church on guard duty. Thankfully, it was an uneventful night as nothing out of the ordinary occurred. I was in Vietnam only four months, so a lot happened in that short time. Our outgoing artillery fire sounded like it was going right over the post office tent and it made me jump, since I thought it was incoming artillery at first. The only time that I was in any jeopardy was when a sniper started shooting at us. We were working in the post office at the time and we jumped in our foxholes, to get out of the line of fire. We could hear bullets ricocheting off the Conex containers behind us. The thing I most remember was that some of our soldiers were walking in front of us, caught between the sniper and our foxhole. It is a wonder we didn’t see someone killed right in front of our eyes that day. After the war I learned that the Viet Cong had an elaborate system of tunnels beneath our base, so that is how the sniper was able to shoot at us from inside our own perimeter. One time we had to load dead bodies onto a helicopter and some of the soldiers were looking inside the body bags, but I wasn’t that curious to see a dead body. My job consisted of sorting mail, delivering mail to company mail clerks who picked up the mail for their company and selling stamps and money orders and making sure packages for soldiers were delivered. I remember the heat of Vietnam and how I was so thirsty, that I drank two 46 ounce cans of apple juice in succession. Worked out there was a rumor that a Viet Cong soldier was in the area that night. Not a good combination to be sick, from drinking so much apple juice and having to search for a Viet Cong invader. However, nothing came of the rumor and was able to recover from imbibing too much apple juice at one time. 92 ounces of apple juice was just a little too much at one time, but that is what the heat did to us over there. Since I had only four months left in the Army, when sent to Vietnam the Army tried to talk me into re-enlisting, which I declined after about five seconds of thinking it over. I was told if I had three months left that I would have stayed in Hawaii. What a difference that one month made. Will never forget the day in May that I left Tan Son Nhut Air Force Base in Saigon, on the way back to the United States. I felt safer as the plane gained altitude, since it was too high to be hit by ground fire. The plane stopped at Japan for a short time, but we never left the plane. We finally landed in San Francisco and were taken to the Oakland Army Terminal. I will never forget the steaks we were served, along with some very cold milk. It was such a difference from what we had to eat and drink in Vietnam. We were processed and given our discharge papers and boarded a plane in the direction of Louisiana. Can’t remember if I was flown all the way to Esler Airport in Pineville or if I had to take a bus from Dallas. The main thing was that I was home to stay after being in the Army for most of the three-and-half preceding years. One of the soldiers I served with in the post office wrote me and told about a mortar shell hitting our post office, about two months after I left Vietnam. The worst part is that two were killed and seven were injured in the attack. The sergeant of our postal unit was among those injured and he was awarded another Purple Heart, to go with the one he received from being hit in Korea. The thing that really hit home was that the soldier, who had replaced me was one of the two that were killed. August of 1966 was the month that I was hired by the Town Talk to work in the composing room. I was told that I would be making more, than most new employees, but later found out I was making the minimum wage of $1.40 an hour. That came out to about $55 a week or $220 a month. Town Talk was still using the hot metal composition at the time. My first job was to work on the type dump, where I would make any corrections to any type with errors, then turn the galley around where the page makeup people could take the type to the page and insert it. It wasn’t too long before I was a page makeup person and placed photos, type and ads into the pages. 1967 – The Town Talk started printing a Sunday paper in May of 1967 and now has had a Sunday edition for the last 46 years. 1968 – This was a turbulent year in the history of the United States, as Martin Luther King Jr. and Bobby Kennedy were assassinated during the year. 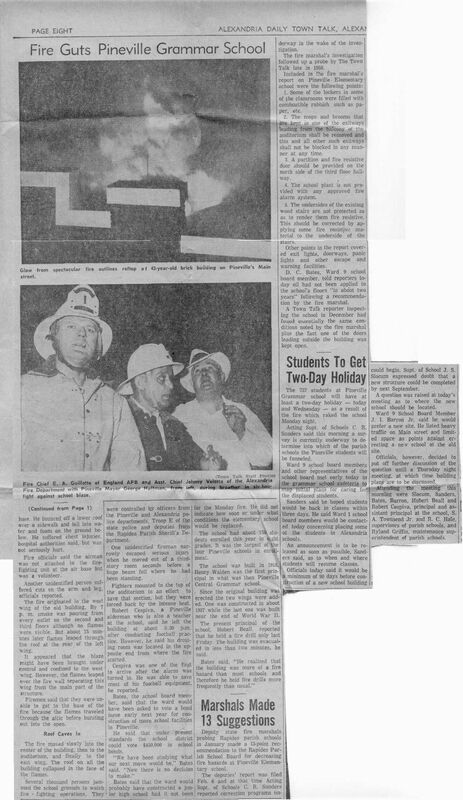 King would be assassinated on April 4, at the Lorraine Motel in Memphis, Tennessee by James Earl Ray, who would be arrested two months later. The Kennedy assassination took place at the Ambassador Hotel in Los Angeles on June 5 and Sirhan Sirhan was arrested and remains in prison 45 years later. Denny McLain would win 31 games in 1968. No pitcher has won more than 27 games since then. 1969 – Went to see a major league baseball game at the Astrodome and saw Hall of Famers Joe Morgan, Tony Perez and Johnny Bench in the game. Pete Rose may be added to the list of Hall of Famers someday. I remember someone opening an umbrella inside the Astrodome, as there must have been a leak in the roof, from the downpour outside the enclosed stadium. Attendance was only 12,205 due to the heavy rain. The Astros won the game 3-2 in the bottom of the ninth when rookie Keith Lampard hit a walkoff home run to win the game. Ironically, the home run would be the only home run for Lampard, in his career and he would be out of baseball after the 1970 season. Would meet my first wife a college student at Louisiana College that fall. A year later we were married and will write more about that in the 1970 post. 1970 – Would marry my first wife at College Drive Baptist Church in Pineville, Louisiana on September 26, 1970. There were six bridesmaids, since my wife had six sisters. Sadly my best man would die later, when he was hit by a car, while going to pick up his newspaper by the highway. 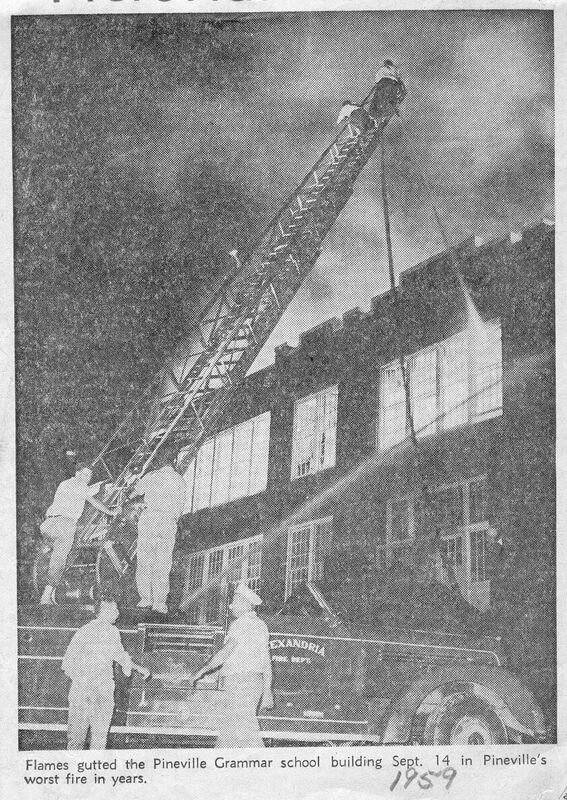 By 1970 had worked at the Town Talk for four years and was earning $3 an hour now, which totaled $120 a week and $480 a month. The rent for our house was $75, but since my pay was so low the landlord allowed us to pay in two $37.50 payments. It has been 36 days since last posting, so will use this post to catch up on what has been going on for the last few weeks. First of all I want to thank the visitors who visited the website averaging about 500 a day, despite not having any new posts. July 20 was a day that will go down in infamy as we started moving 50 miles north of Sulphur, Louisiana to Merryville, Louisiana. Moving may the most stressful thing ever, especially since it took us 12 days to complete the move, making several trips to complete the move. July 20 and July 21 were the most stressful days. Moving in 95 degree heat is not exactly a formula, for a smooth move. You really have no idea of how much stuff you have, till you try to fit it in a rental trailer. There was one respite from the moving, when my daughter took me to see and my grandson to the Houston Astros game against the Cincinnati Reds on July 25. We were fortunate to find $5 parking, relatively close to Minute Maid Park. Surprisingly the Astros ownership allows fans to bring their own food and drinks to the games. A hot dog and coke at the game would have cost almost $10, so my daughter fixed sandwiches, brought some cheese crackers, cookies and a one liter of water to the park, saving $20-$25. The gate attendants check each bag with food, to make sure fans are not sneaking Big Mac’s or Taco Bell tacos into the game. We arrived extra early since they were giving away Houston Astros baseball caps to the first 1,000 fans and we knew ahead of time where to be to get in line for the caps. So between the cheaper food and free baseball caps we saved a lot of money. My grandson was on the concourse in left field and the Reds were having batting practice and hit a ball in his direction, when his mom decided to call him, since we weren’t sure where he was and he reached to pick up the phone and the ball arrived at the same time and another fan jumped in front of him to catch the ball. So he at least came close to having a souvenir baseball. The game itself was a typical Houston Astros game, with the Astros losing late in the game to the Reds, but just being in a major league ballpark made it worthwhile for me. Then it was time for a reality check as the move to Merryville continued. Finally on the morning of August 1, we completed the move and are now living in a trailer in the country, almost halfway between Merryville and Deridder. Rhonda and me have both had health problems since the move. Last Monday was a bad day for both of us, with Rhonda in bad pain from an intestinal blockage and me having an acute acid reflux attack. It was far worse for Rhonda as she was admitted into the hospital on Monday night, but was released on Tuesday after the blockage had been cleared. Tuesday was my worst day having thrown up ten times during the day. It may explain why my weight has dropped from 209 the last time I went to VA to 179 pounds last night, since unexplained weight loss is a symptom of acid reflux disease. Just wanted to update the readers on what has been going on and am planning to start making nostalgic and current posts in the next post. The Zero candy bar was first produced in 1920 and is still being made 91 years later. This may very well be the best candy bar ever made, with chocolate, caramel, peanuts and almond nougats on the inside and white fudge on the outside. 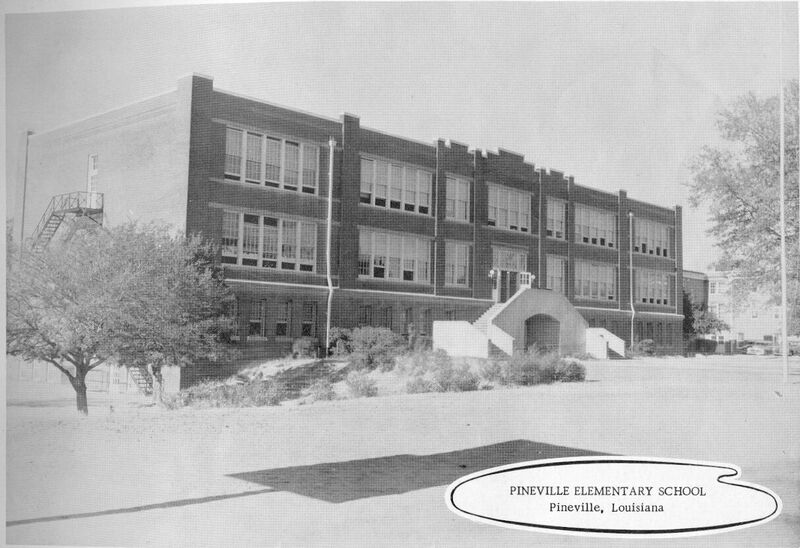 It was almost a daily ritual walking home from Pineville High to Burns Street to stop in the neighborhood grocery store where Lallah ended at Donahue Ferry. I remember an elderly lady ran the store. Can remember buying a Big Time candy bar every time. I don’t even know why I liked them so much. They weren’t that much better than any other candy bar. Coconut lovers loved the Almond Joy candy bar. It had a coconut center and two almonds in milk chocolate. It’s sister candy bar Mounds was similar to the Almond Joy, except without the almonds and encased in dark chocolate. 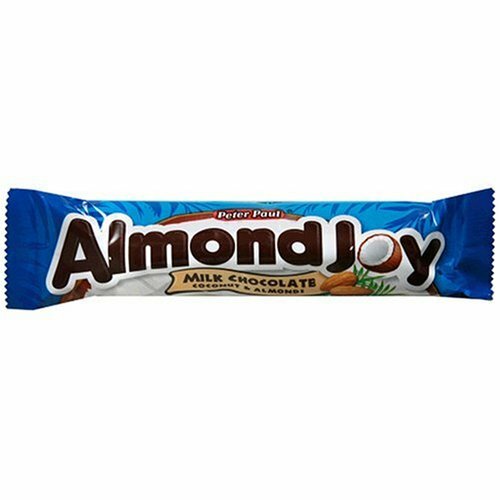 I don’t know why anyone would want to ever eat a Mounds, after tasting the almonds in an Almond Joy bar. The Baby Ruth candy bar was produced by the Curtiss Candy Company in 1921. Ironically, it was the year Babe Ruth hit 59 home runs. However, Babe Ruth had nothing to do with the naming of the Baby Ruth candy bar. It is said to be named after the daughter of President Grover Cleveland, Ruth Cleveland. Baby Ruth candy bars were made out of peanuts, caramel and nougats with a chocolate covering. Curtiss Candy Company was sold to Nabisco in 1981, then sold to Nestle in 1991. Curtiss Candy Company made their first Butterfinger Candy Bar in 1923, two years after the Baby Ruth candy bar was introduced. The candy bars have a taste similar to peanut butter and include crispy caramel in the center. The Three Musketeers candy bar rolled off the assembly line in 1932 and was produced by M&M/Mars. The candy bars have a chocolate flavored nougat covered with milk chocolate. I never ate chocolate cakes or most other products with chocolate, but always had a sweet tooth for chocolate candy bars. One of my favorites today are Reese’s Peanut Butter Cups and in addition, I have been known to eat a Snickers bar from time to time.